At AAMCO South Tampa, FL, we can skillfully repair and maintain your vehicle’s brackets and mounts. If you are experiencing harsh vibration, loud clunking during acceleration or braking, problems with handling or control, you may have a broken mount or bracket. 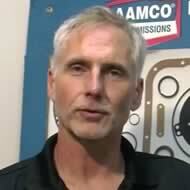 Have the professionals at AAMCO South Tampa, FL inspect your vehicle to determine what the problem may be. With proper bracket and mount maintenance from AAMCO South Tampa, FL, you can have peace of mind that your vehicle and your family will be safe on the road.